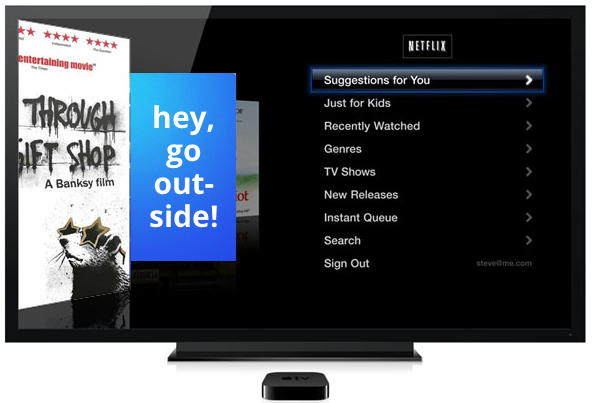 On & True: netflix's suggestions for you: Go outside. netflix's suggestions for you: Go outside. You just blew through both seasons of Luther and it isn't even 3pm. Now you're scraping the bottom of the bottom barrel, and considering moving onto, I don't know, Burn Notice? But netflix has a different "suggestion for you" this time: it's time to go outside.